David and Caroline (centre) receive their award. A CARE business which looks after Worcester and Malvern residents in their own homes has been honoured with a top regional award. 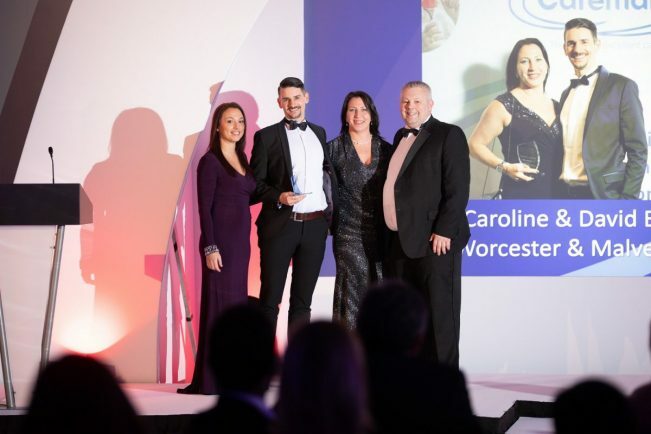 Caremark Worcester and Malvern Hills was crowned best regional business at the company’s awards at the Marriott Forest of Arden Hotel in Warwickshire. 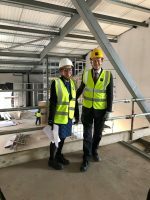 Owners David and Caroline Balmer and their team were honoured in front of more than 100 Caremark offices from across the UK.